I was so excited when Sozo USA sent me these pieces wrap to review! Keep an eye out for some links within the article to the products pictured! 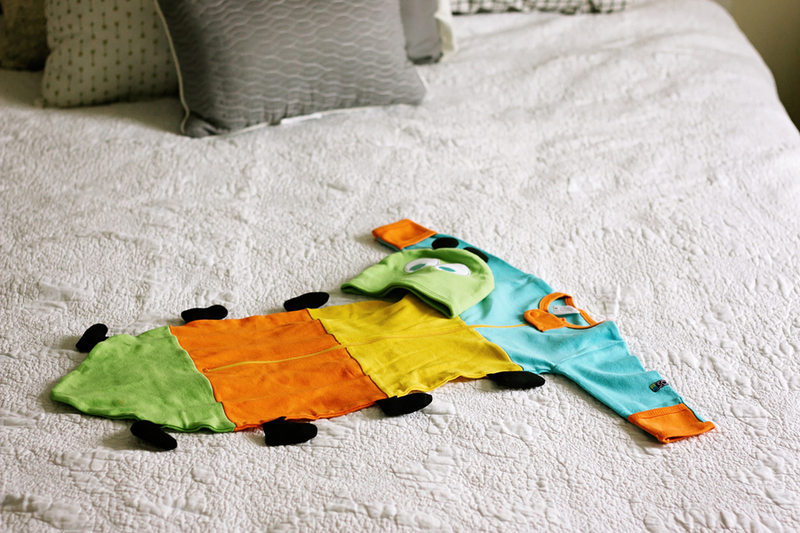 I love statement clothing for myself and my children and so when I found SOZO USA I was excited to see all of the different clothing options for both boy and girl babies! My favorite was of course the Caterpillar Bunting & Cap set. I was instantly attracted to the bright colors and so I ordered it. I thought the price was great especially because it was a full outfit for baby. 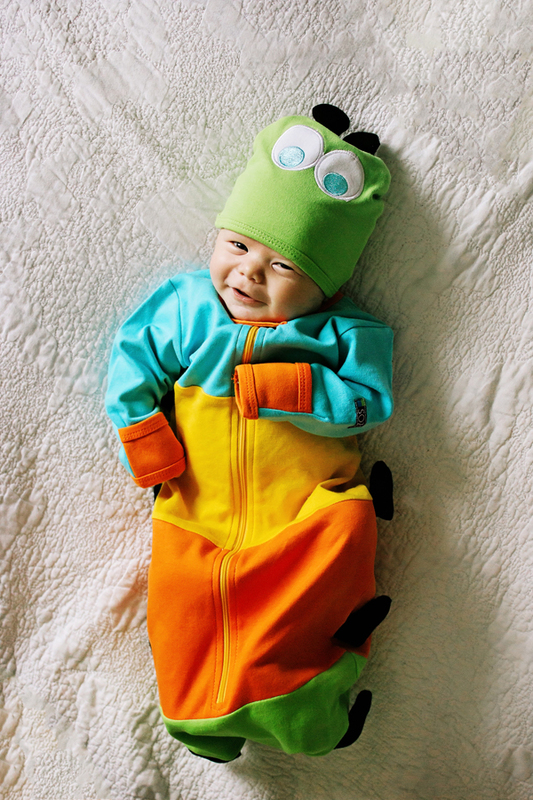 Not only was the price great for an outfit, but the sizing is universal for babies up to 6 months in age. I tend to be a bit lucky when it comes to baby clothes, my children fit into 6 month clothes up until around 12 months because they tend to be a bit smaller so I figure I can use this outfit on my son until around that time. When it arrived, I was delighted! It looked just as it had been pictured on the website and I loved how the colors really seemed to pop (especially because the day that it arrived, it was cloudy and raining so that pop of color was nice.) I put it on my son the same day and he wore it through the night. He loved being able to freely kick his little feet while keeping them warm with the bunting style. The material of the product was great as was the zipper and the button at the top. The hat was a bit big on my son but like I said, this outfit goes up to 6 months. One of the biggest things that I liked was the fold over sleeves. I feel like when I buy clothes from places like Target, the outfits don’t always come with that little piece of extra material and with my son, it’s a necessity. The second I allow him into an outfit without the mitts on, he scratches his face even without nails. He loved being able to freely kick his little feet while keeping them warm with the bunting style. Overall, I thought the outfit was perfect for pictures but it’s functional for daily use and that’s rare for me. It had little details like the caterpillar feet which I found adorable. 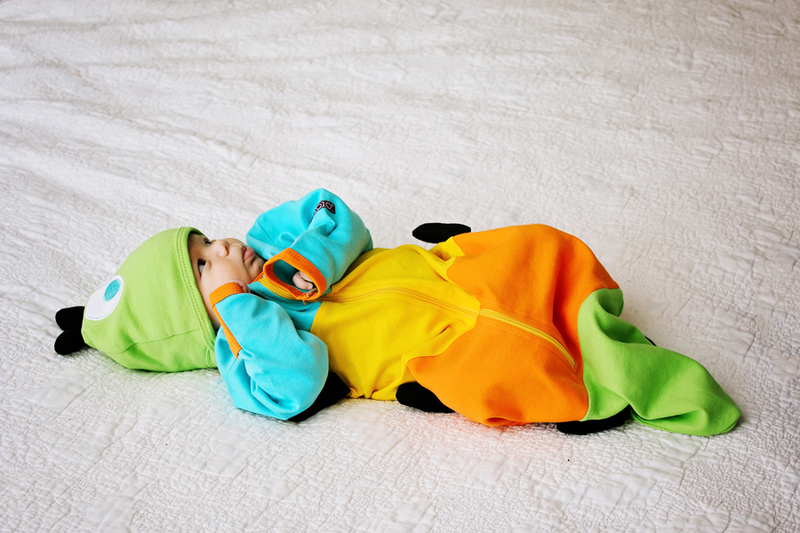 Also to consider with the outfits from SOZO USA, they can make for great Halloween costumes since they will keep baby warm and they fit properly. Had I ordered this in time for Halloween, it would have been his costume.